Sport features prominently at Princethorpe. Every pupil participates in Games and PE from Year 7 to Upper Sixth to keep them fit and give them a sense of well-being. All the major traditional sports are offered at the College, but it’s also possible to try archery, trampolining, dance, sailing, golf, climbing and basketball and to get involved in equestrian competitions. There is an extensive programme of inter-school fixtures, with A, B, C and sometimes D teams being fielded, as our approach to sport is very much inclusive. Princethorpe has a proud tradition of pupils gaining county, regional and international representative honours, not least England cricketer Ian Bell, who is an Old Princethorpian. There is a well-equipped Sports Hall, a Fitness Centre, climbing wall and squash court. 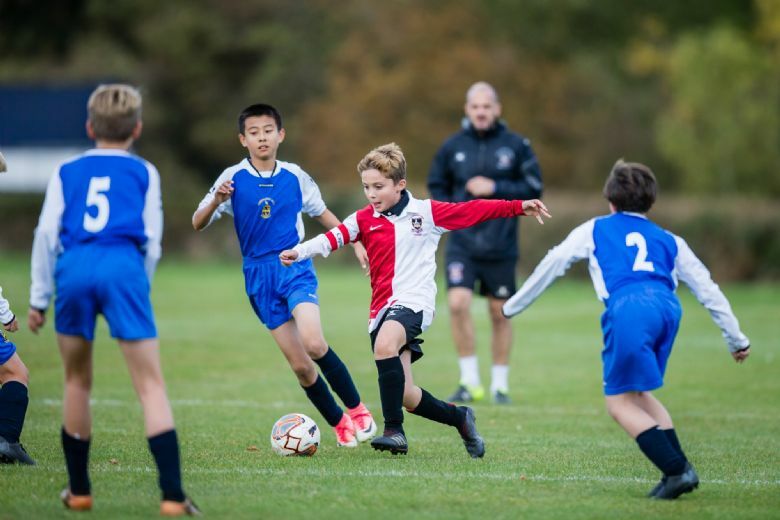 Extensive outdoor facilities include a floodlit all-weather pitch, an internationally recognised cross-country course, tennis courts and over sixty acres of games pitches and fields. Each pupil has an afternoon games session of 100 minutes each week. Our Games sessions are organised to coincide with those of other schools so we have Year 10 Games on Monday, Year 9 on Tuesday, Year 11 and the Sixth Form on Wednesday, Year 8 on Thursday and Year 7 on Friday. The boys' focus is Rugby in the Michaelmas Term, Hockey, Football and Cross Country in the Lent Term and Cricket, Athletics and Tennis in the Trinity Term. 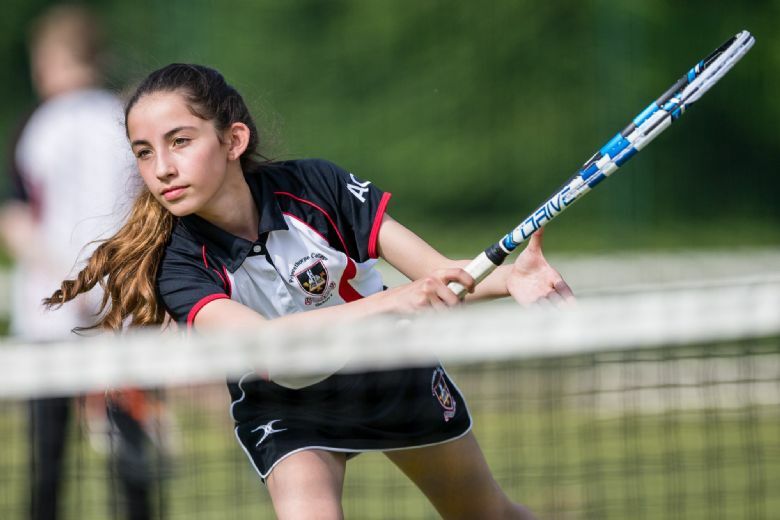 The girls' focus is Hockey in the Michaelmas Term, Netball and Cross Country in the Lent Term and Athletics, Rounders and Tennis in the Trinity Term. Students have one 50 minute lesson a week of Physical Education. This is a core subject on the curriculum and a wide range of sports are covered in 7 week blocks throughout the year. Pupils get a wide variety of experiences and gain an appreciation of different types of activities. Princethorpe College has some exceptional sporting talent throughout the school, in both school extra-curricular clubs and clubs outside of school. As a Physical Education Department, we aim to identify this talent and provide an environment for these pupils to develop. We choose the top 60 pupils in the school from Year 8 to Year 13, from a variety of sports. The scheme provides support and advice for pupils and creates an atmosphere where pupils of a similar situation can work together and achieve more. We have pupils who represent their county, region and their country and are constantly pushing them to become their very best. Sixth Form Sport Scholarships are available for particularly able or talented internal and external candidates. From Key Stage 4 to Sixth Form pupils have the opportunity to take part in the nationally recognised Sports Leadership Awards. These qualifications help pupils develop essential life skills such as organisation, motivation, communication and working with others. All of the awards are practical with minimal written work and there is no exam. Assessment is made based on the pupil's ability to lead and demonstrate their leadership skills.